Match multi-gem opal ring in yellow gold with the matching necklace or pendant and earrings. 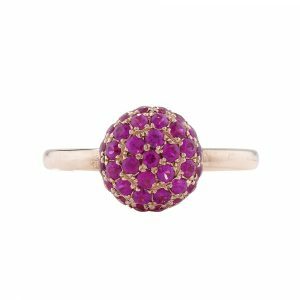 Pink and orange sapphires, tsavorite garnets, gorgeous cappuccino diamonds and glowing opals make sure this stunning ring stands out. 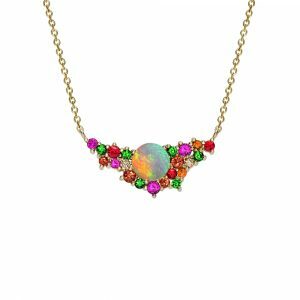 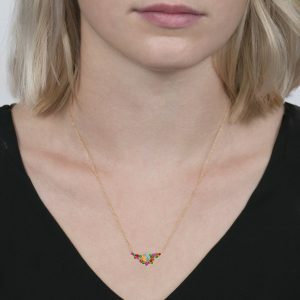 These colourful gemstones are inspired by the natural “harlequin” pattern found in opals, and set in rich 9-carat yellow gold. 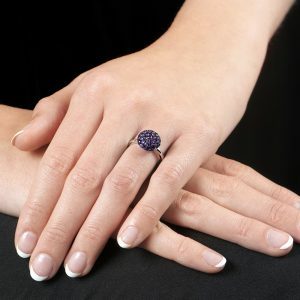 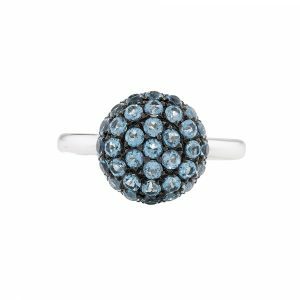 From our exclusive Bloomsbury Collection, this is a stunning ring with handpicked gems, has a width of 1.5cm on a hallmarked 9 carat yellow gold shank. 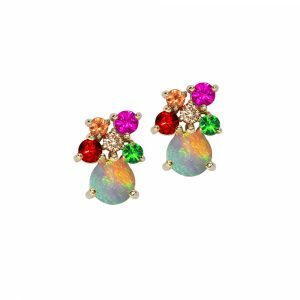 Wear them on their own for a flash of rainbow colour to brighten up a casual outfit, or for a more formal look pair them with other pieces from the collection, such as the Harlequin stud earrings. 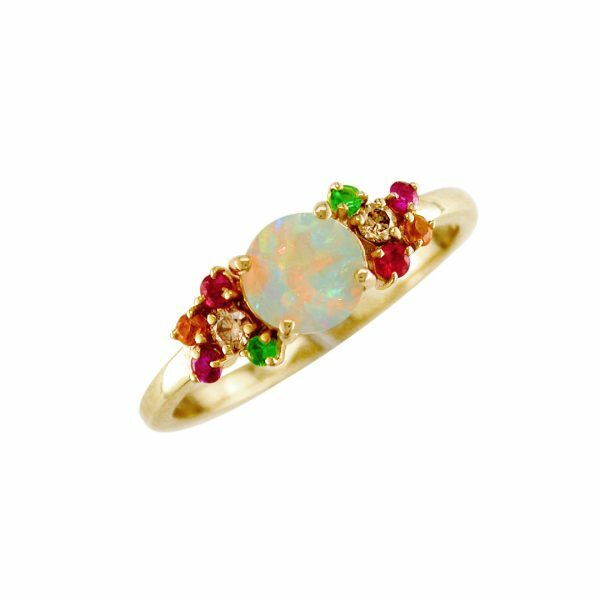 Opal is the birthstone for October as well as the national gemstone of Australia, where most of the finest specimens are found. 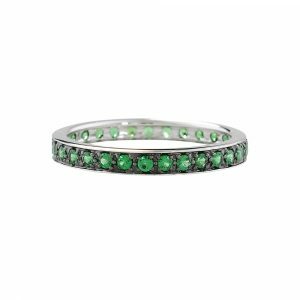 We use diverse and innovatively cut gemstones with rose, white and yellow gold. 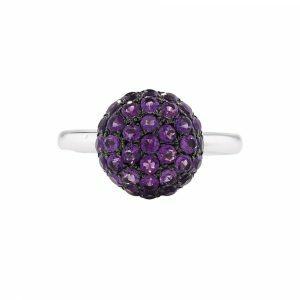 Much of our jewellery is finished with unique textures to create truly individual designs. 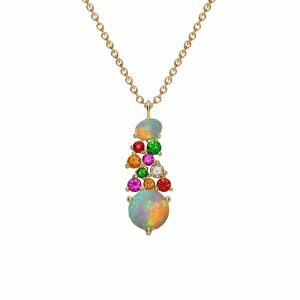 Gemstone: Opal, pink sapphire, orange sapphire, tsavorite garnet and cappuccino diamonds.